A few months ago I was looking for a nice leather watch band when I stumbled upon E3, a New York based maker of leather goods. After receiving the band and just loving it, I thought I would check out what else they offered. To my surprise they are a Greenpoint, Brooklyn based company and offered a nice selection of unique leather goods. So the E3 - L.A.B. relationship began. Tell us a little about E3? Every E3 Motorbike is rebuilt by hand at our shop in Brooklyn, NY. We’re a low-volume, detail-oriented operation, and we work our fingers to the bone to create functional, safe, and insanely fun forward-propulsion equipment. As we’ve been plugging away, the community that grew around us was amazing; everyone seemed to want to be a part of it. So we challenged ourselves to branch out and create a sustainable business that was accessible to everyone, and our leather goods product line was born. All of our leather goods are hand crafted in house at our Brooklyn studio with the same attention to detail as our custom moto projects. Each product is made the good ole fashioned way, by hand and one at a time. E3 has been sort of an experiment in progress and seems to evolve and grow over time, with the static theme being forward-propulsion equipment and purpose-built gear. We get to work with some really incredible people on a day-to-day basis. A typical day at the shop is more like kids in a treehouse building stuff with Legos than a day at work. We get to design and make products that we are proud of and converse with awesome people who appreciate our efforts. It’s the ultimate reward. This idea that we can make useful, heirloom-quality pieces that people want to own, while not leaving a giant footprint, well, that’s the perfect life for us. 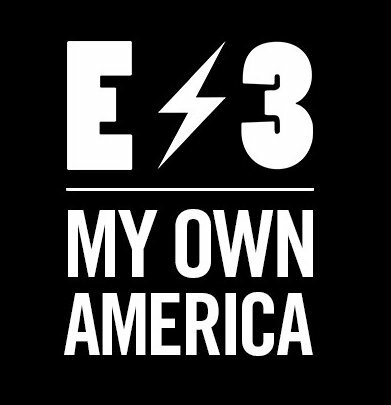 We started E3 based on our love of motorbikes and travel. David had been working as a photographer in NYC and transitioned into bike building full time back in 2009. The first few bike rebuilds were done in his small studio apartment on 3rd Street prior to setting up shop in Williamsburg. Mai came on board the following year to further our leather goods and custom gear lines. But in some respects, we are still getting started. We have a thriving business and are primed to have our best year yet, but we have so many great things planned - new products, mobile business ventures, and truly humbling partnerships. Things are going to get really exciting for us soon. Inspiration comes at us from all angles, but there are three main sources: 1. open spaces and the great outdoors; 2. Brian Wilson and (equal importance) Bob Simmons (a post WWII surfboard designer and shaper from Pasadena, CA); 3. that good ole American do it yourself, get your hands dirty, take it apart and figure out hows it works ingenuity in all its forms.